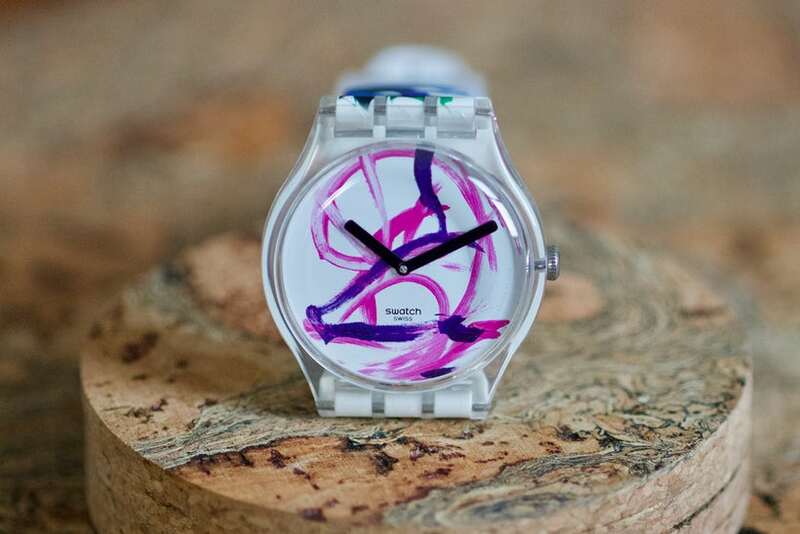 Swatch has collaborated with Pigcasso, the South African pig with a penchant for art, to create a watch inspired by her paintings. 2019 is the Chinese Year of the Pig and in honor of the zodiac sign, the watch company Swatch has come out with a watch whose dial was designed by, what else, a pig! The South Africa-based, thousand-pound animal, dubbed Pigcasso, creates colorful abstract works by holding a paintbrush in her mouth. 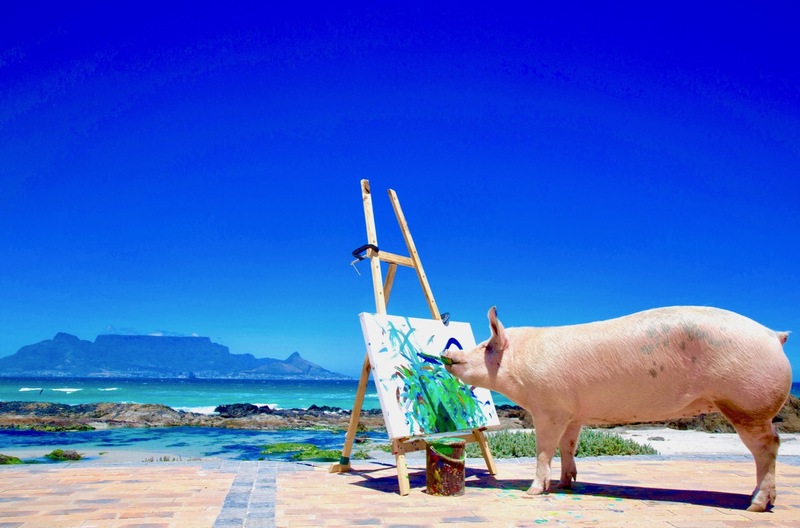 Pigcasso was rescued from a hog farm as a piglet by Joanne Lefson of Cape Town, who later noticed that paint brushes were of interest to the portly creature. She taught the pig to paint using positive reinforcement techniques, like rewarding her with food. 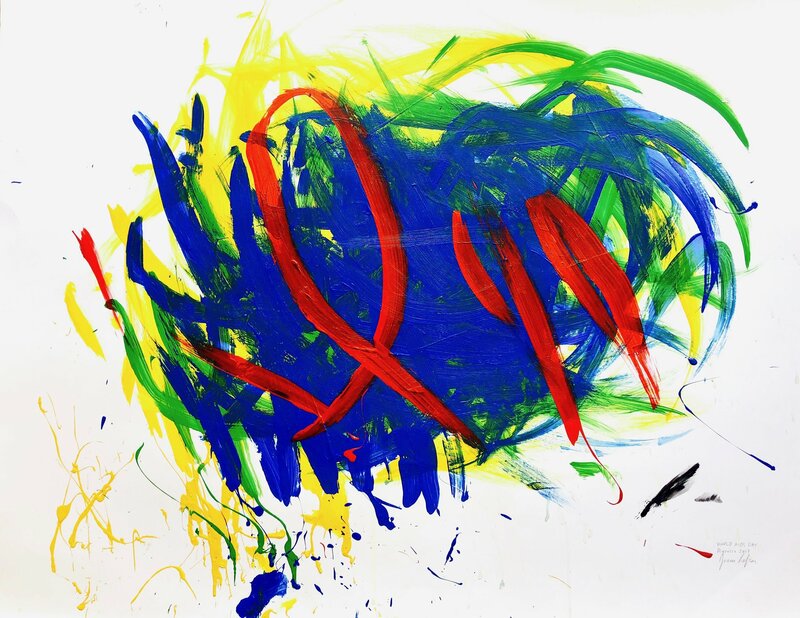 The pig has become a prolific artist with works of dynamic, spontaneous brushstrokes and color. Lefson told National Geographic, "The gift is just to look at [Pigcasso's art] and not be ruled by trying to define it." 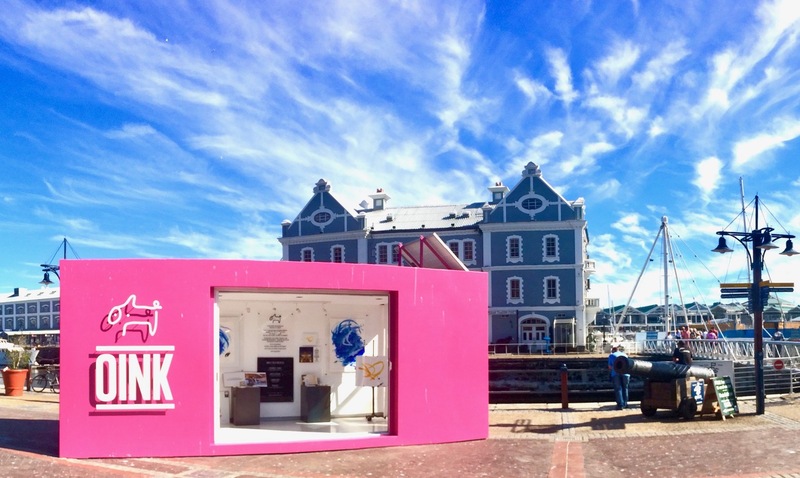 Pigcasso has become a celebrity in South Africa and has her own website, as well as a temporary pop-up exhibit on Cape Town's V&A Waterfront through March 2019. Her artworks, which are sold on the Pigcasso website, start at over $700 and range up to almost $2,500. This year, the Swatch and Art collection, which features timepieces inspired by the work of contemporary artists like Keith Haring and Damien Hirst, collaborated with Pigcasso to design the first watch featuring art by an animal. The dial has thick pink and purple brushstrokes, while the strap boasts blue and green. 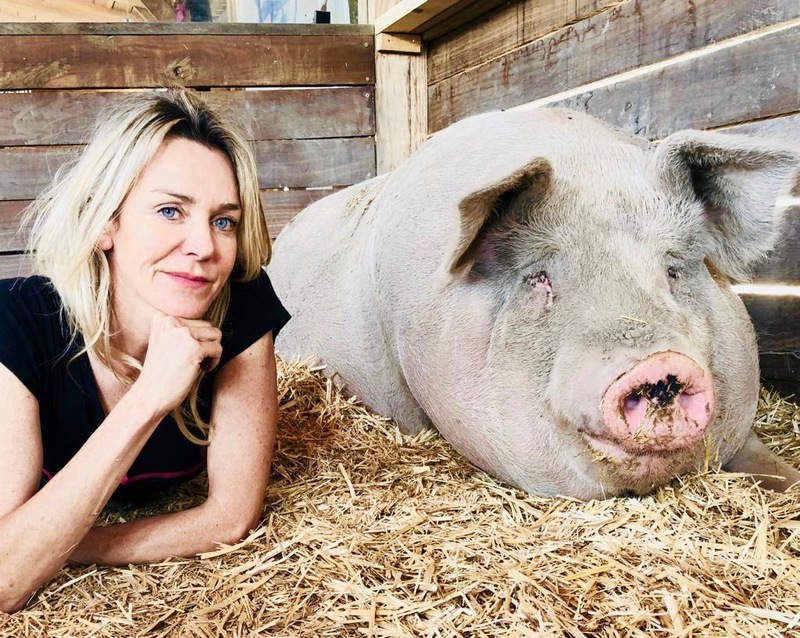 Proceeds from the limited edition Swatch will go to the Farm Sanctuary, a non-profit organization that rescues farm animals from slaughter houses ands stockyards at their farm shelters.